The cursed race that serve the Goddess of Death. From the popular online RPG 'Lineage II' comes a 1/7th scale figure of the Dark Elf to contrast against the previously announced Elf figure. She is posed equipped with the Daimon Crystal, in a pose based on a one of the main illustrations from the game. Every part of the figure has been sculpted down to the finest of details, including her outstanding outfit and compelling expression. 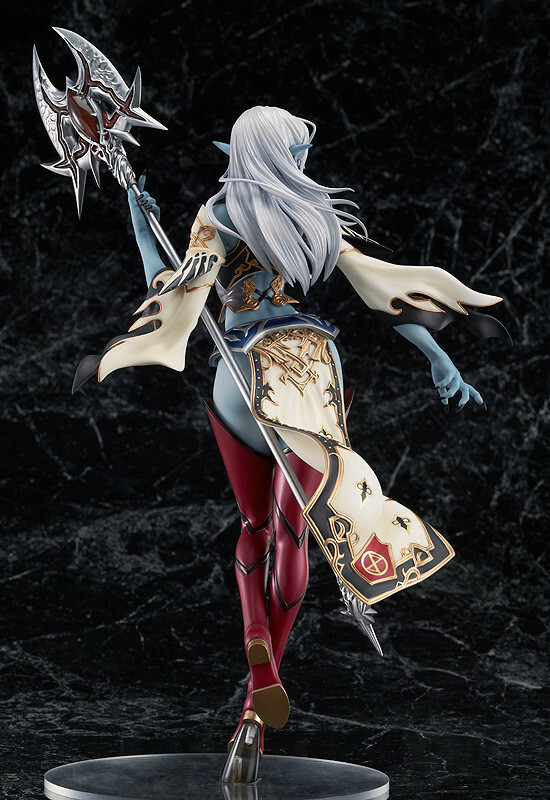 Fans will be able to enjoy the charming Dark Elf from any angle they please! Painted 1/7th scale PVC figure with stand included. Approximately 255mm in height.